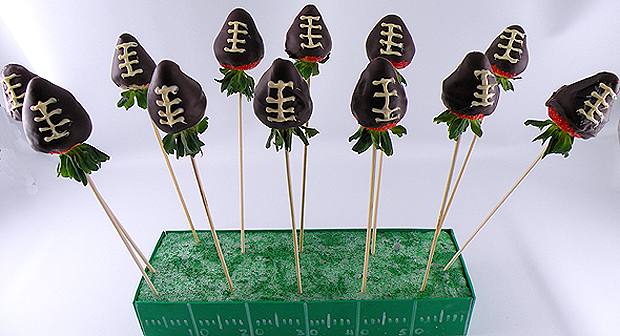 A fun thing to do for your Super Bowl party is to make edible decorations. 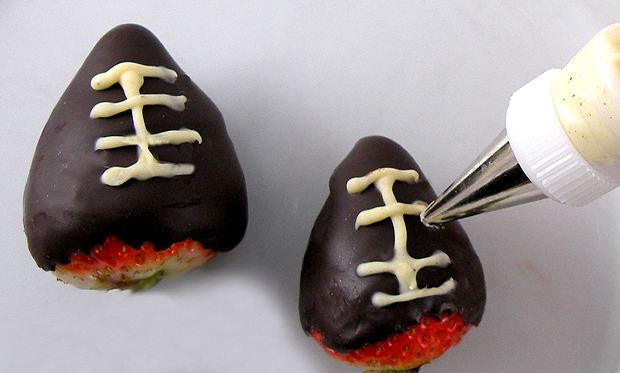 One idea I came up with this year is to make chocolate covered strawberries made to look like mini footballs. They not only look festive but they are delicious! These little guys will be a welcome addition to your Super Bowl party and a great conversation piece. 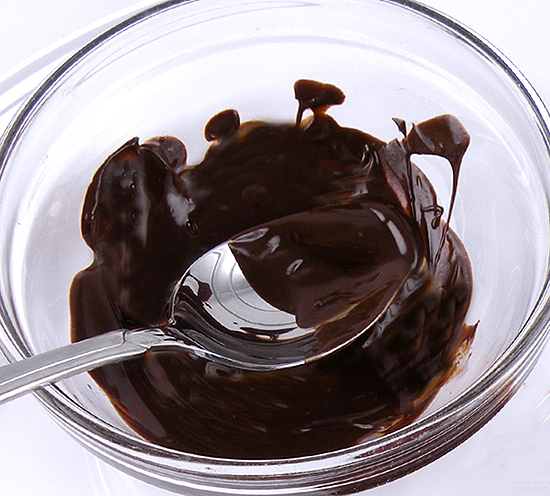 They are easy to make and can be prepared well before the pregame festivities. 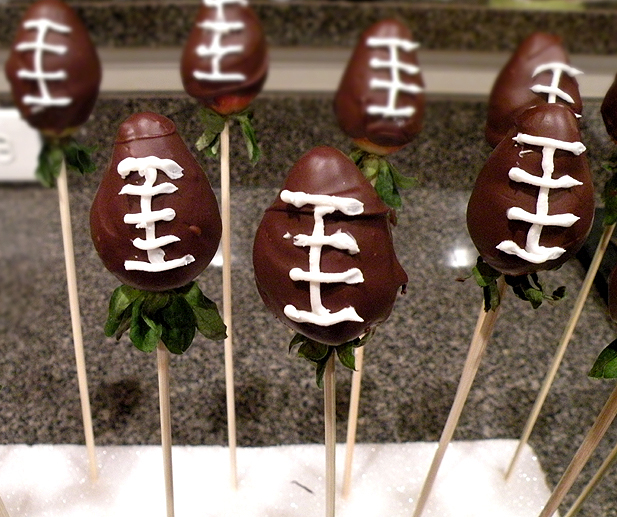 Don’t expect any turnovers or fumbles with these yummy footballs…only touchdowns! This entry was posted in Everything, Food and tagged Chocolate Strawberry Footballs, Gina Tepper, strawberry footballs, super bowl, super bowl decorations, super bowl food. Bookmark the permalink.